Hey guys! Would you like to know what I have cooked for you today? It’s a fusion of best WordPress themes and plugins that extend their functionality. Are you serious about the customization of your WordPress theme? Visit MasterBundles. You will find cool web design stuff at affordable prices there. But let’s come back to our showcase. It’s a good idea to launch a website on the basis of a WordPress template. First of all, the CMS is a free and open source. So, everybody can contribute to its improvement. Secondly, WP is the most flexible, customizable, and easy to maintain the platform. They have a responsive design. This means that your site will adjust to any screen resolution of the device it is being viewed at. Do I need to say that this leads to greater UX and enhanced SEO? The themes are cross-browser compatible. You can be sure that their look and performance will be the same perfect in all browsers. The themes come well documented. WordPress themes powered by Cherry Framework have semantically awesome code that explains itself. But you can still take a quick look into neatly packed docs that cover and explain all bases for you. The themes offer multiple theme options. You can use non-standard options to change theme appearance. You can be unique with more than a hundred applicable features included in a framework. Easily adjust WordPress theme look – upgrade typography, logo, or navigation. Do the same with a slider, blog pages, portfolio, and page footer. Each and every detail must feast your eye. The theme offers custom post types & post formats. Use unique post types for various info like customers’ testimonials, team bio posts, company services description, and other posts you would like to highlight. Every page of your website can be inimitable. Just choose from a list of available post formats designed to match different tastes and requirements. Lots of shortcodes are available to simplify the embedding of media content. Use more than 80 handy shortcodes for post output, elements, grids, lists, tabs, video and audio, Google Map, and much more. The themes include custom widgets. It’s easy to cope with editing your web page via Theme Customizer. You can view the amendments you’ve done in real time using the Preview function for the purpose. OK, now you are ready to see the add-ons and templates I have thoroughly handpicked for you. MailChimp WordPress plugin is multipurpose integration with MailChimp. It fetches all Lists, Variables and Interests groups from Mailchimp account. The plugin allows merging variables. You can add interest groups and delete right from the WordPress Dashboard. Once merge vars and interest groups are setup then Subscriptions Form can be generated from selected List’s variables and interest groups. All these groups are displayed on the form for user choice. Jetblog plugin provides the best blog modules for maximum content power. Smart modules set lets you choose the module you need to deliver your ideas in many forms (Smart List, Smart Tiles, Smart Video, Smart Ticker). The plugin is easy to work with. JetBlog allows creating content for your blog by dragging and dropping modules into the page’s canvas. The modules are well thought-through, with everything one might need, from loads of layouts to abundant style settings. JetElements is a top-notch add-on for Elementor Page Builder. New widgets like Horizontal Timeline are already included into it. The add-on gives you the possibility to create content easily with multiple elements. 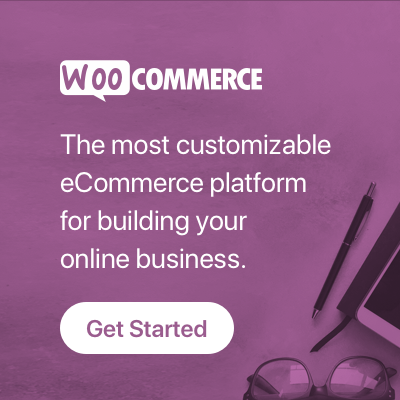 JetElements AddOns make it easy to embed WooCommerce elements right to your website’s page. The plugin lets you add a contact form with actually one click. Not sure that you will cope with the plugin yourself? No worries! It is delivered with 24/7 support. JetMenu plugin is intended for creating a menu using a clear Elementor live content builder. Finally, you can create a menu really fast and easy. Powered by Elementor drag-n-drop page builder, it allows adding any modules right to the menu in the easiest way you can imagine. Create and style up a vertical menu with a mega menu using the widget specially cut for the purpose. Stop worrying about the responsiveness of your website’s menu. With JetMenu it will look great on all types of screens. Photo Gallery WordPress Plugin is based on CSS & JS. This means it is amazing, responsive and easy to use. This advanced plugin has a list of tools and options for adding images to different views. The product includes the plugin for adding image galleries to posts and pages, as well as multiple widgets. You can add images with titles, and organize the galleries into different photo albums. Monstroid2 is one of the best Elementor WordPress themes, so you can do literally anything out of it. You will be impressed with a super light package. It weighs less than 250kb, which provides smooth performance. The lightweight of the theme provides lightning fast loading time. High speed is appreciated and rated accordingly on Google. There is plenty of power in this one business theme. Imperion theme includes a wide range of skins for all kinds of business matters. You will be able to create dazzling layouts and customize your website content effortlessly using Elementor live page builder. You won’t need any coding skills to create pages and fill them up with content. The theme comes with Brands, Carousels, Post Sliders, and even more modules in one extremely powerful JetElements addon. Create your own first-class business website with Expanor. The theme is powered by Elementor page builder. With Elementor you get the complete package of widgets for free. Advanced widgets like Carousel, Google maps, and many others. The theme is fully loaded with functionality – SEO-friendly, Valid and Clean HTML Code, WordPress Live Customizer to mention just a few. 24.Storycle is all-in-one multipurpose news and blog theme. The demos included in the template can be installed in a click. The theme allows using JetBlocks for creating stunning headers and footers with any content and layout you want to assign to any page you need. JetMenu plugin lets you create a mega menu by dragging and dropping content widgets into any layout you want using Elementor. Create attractive post sliders with different tile layout, style them up for displaying any custom post type with JetBlog addon. Do you like to travel? You should definitely create your own website and blog about trips. With this theme, it will be a walk in the park. A comfy built-in admin panel allows you to give the original look to the site. The theme is fully cross-browser compatible and responsive. It will look great on any device, therefore your audience would be able to follow up your updates anywhere. Hep people explore the world, launch your online travel agency. A variety of appealing pages for all occasions come with the theme. They contain astonishing elements and are easy to customize. The theme was built with the mobile first approach at use. Mobile first philosophy will make the website a perfect piece for the smaller screens as well as the larger ones. Are you in love with traveling? This theme has everything you need to build a website for your travel agency. OnVacation is a really awesome theme with an outstanding design and a bulk of technical features. It was built on drag and drop Elementor page builder basis, which allows to create a stunning content layout and customize it according to your needs. Theme’s features include things like the clean and professional design, flexible page layouts, and user-friendly settings for the admin. The theme is equipped with Elementor page builder. Here are some of the advanced widgets included with it – Google Maps, Counter, Progress Bar, Image Gallery, Image Carousel, etc. You will be able to get all the benefits of your vast experience in building websites. With JetElements creating websites is easy and effective. The theme is loaded with cool functionality – Mega Menu, Different Footers Layouts, WordPress Live Customizer, 4 Blog Layouts, and so on. This theme is a great fit for a digital agency or a creative design studio. Do you want to represent your services to a wide audience? Then, Imagity Creative Minimal WordPress theme is an important element in this venture. A colorful design and rich functionality are the main advantages of the theme. Imagity is provided with Jet plugins set, which will be helpful by enriching your site with informative blocks and elements in Elementor editor. This is an ideal solution for personal blogs. But not only that, you can use Advertex for building a wide variety of business blog websites. This theme uses Elementor page builder, which is modern and easy to use drag and drop live builder. The theme cares about the security of user’s data. It corresponds with all GDPR requirements giving your visitors the new level of privacy. So, you have just viewed 5 serviceable plugins for WordPress blogs and 10 amazing WordPress themes for blogs of any types. Did you like the compilation? I hope so. OK, which themes and plugins did you like the most? Are you going to use any of them? Please drop me a line in the comments section. And don’t forget to share the showcase with your friends on social networks.